A Virginia Tech program is helping Virginia Farm Bureau members improve their leadership and communications skills to support the state’s largest industry. 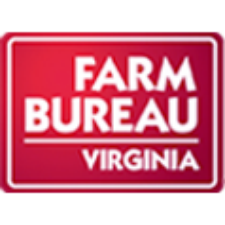 The Virginia Agriculture Leaders Obtaining Results Program, or VALOR, has helped 15 Farm Bureau producer members on their farms and in their careers. The program was established at Virginia Tech to develop leaders who can effectively engage all segments of the Virginia agricultural community to create collaborative solutions and promote agriculture both inside and outside the industry. Participants apply for VALOR fellowships and undergo an interview process. The program is a two-year commitment; fellows travel to farms and other operations across the state, and they travel nationally and internationally. “VALOR helped me become a better manager in my full-time job and also helped open my eyes, as a farmer, in how I interact with others,” noted Josh Stephens, a Shenandoah County livestock farmer and equipment dealer manager who was part of the second VALOR class. VALOR communications training “helped me learn how to choose my words carefully when talking to others about agriculture, especially those that may be unfamiliar with some of our agricultural practices,” he explained. Jennifer Leech, a Rockbridge County dairy farmer, also was in the second VALOR class. “The first VALOR class came to our farm as part of a seminar, and I got to see first-hand how the program works,” she explained. Leech said VALOR also helped her get outside of her comfort zone, especially on her class’s trip to Vietnam, where she experienced a different view of agriculture. After completing VALOR, she was elected to a Southeast Dairy Council’s Young Cooperative board seat and is now participating in the Dairy Farmers of America Emerging Leaders program. An application for the VALOR Class IV will be available online in early 2018. For more information, visit valor.alce.vt.edu.